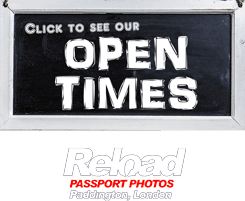 Reload Internet is a passport photo studio based in Paddington, London, that can take and print your Antiguan passport photo or visa photo. Our staff are highly trained and are able to provide you with photographs meeting the requirements needed to ensure that your application is accepted by the High Commission of Antigua and Barbuda the first time around. What’s more, we will even print off your photos instantly- there’s no need to come back for them later. No appointment is needed, just come and visit us and our staff will help. We stay open 7 days a week, from early in the morning until late in the evening, even on a Sunday we close at 8pm! 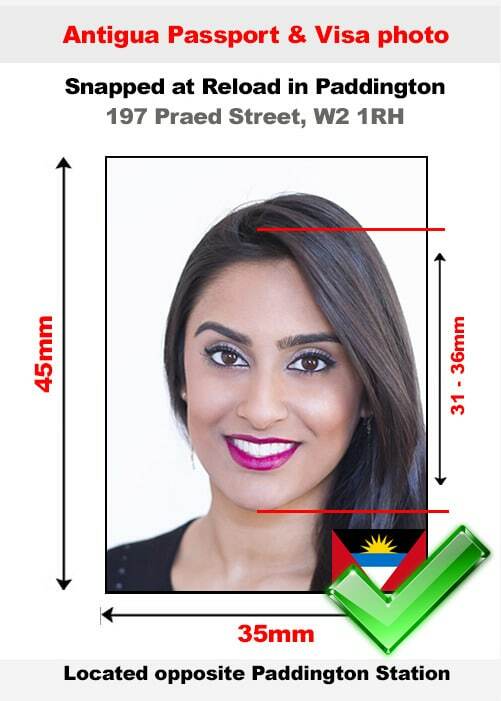 We will provide you with a full set of 6 Antiguan passport photo or visa photo, and they will cost you just £9.99. We can also guarantee that these photographs will pass with your Antiguan passport or visa application. Your Antiguan passport photo or visa photo needs to meet a strict set of requirements- and instant photo-booths just won’t cut it. Many people find that the photographs they submit, when they are attained from a photo-booth, are rejected and so come to us for help with their Antiguan passport or visa application. Choosing us for your Antiguan passport photo or visa photo will ensure that there aren’t any delays with processing your application. We will provide you with photos that clearly identify you as the Antiguan passport or visa holder, so that you don’t face any problems when travelling into or through Antigua. Photos must naturally be of the proper brightness and contrast. Any photos which can be seen to have been digitally altered will be rejected outright. Should your Antiguan visa or passport photos fail to meet these strict requirements, they will be rejected so come to Reload Internet in Paddington to ensure your application runs smoothly. We receive all of our specifications directly from the official High Commission of Antigua and Barbuda’s passport and visa photo guidelines, which can be found here.